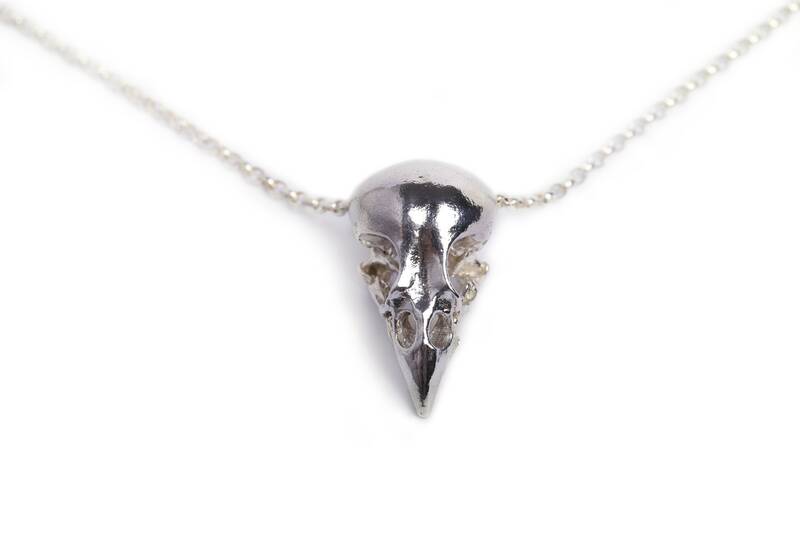 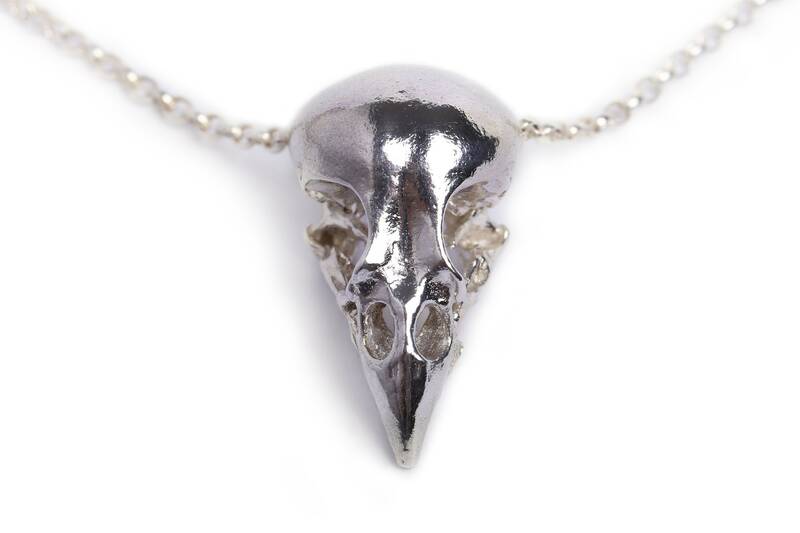 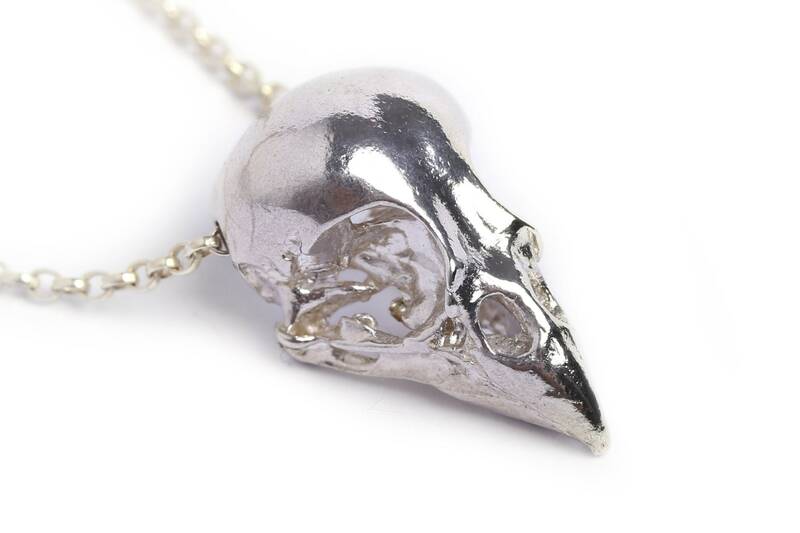 The skull for this stunning necklace is cast from a real finch skull, which makes it unique. 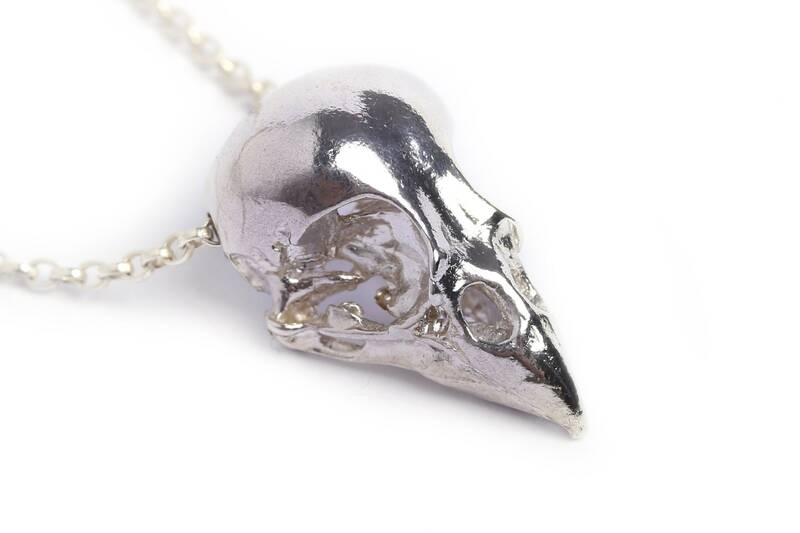 The skull and chain is in sterling silver. 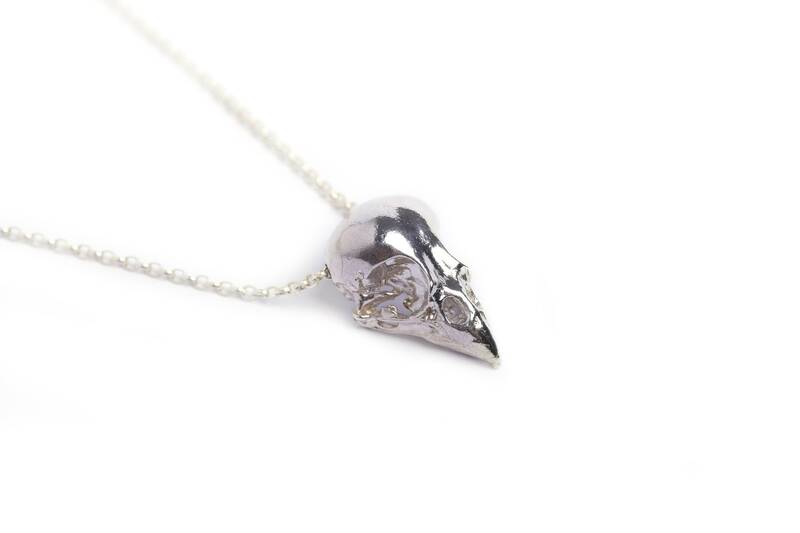 This necklace is ca 43cm long.